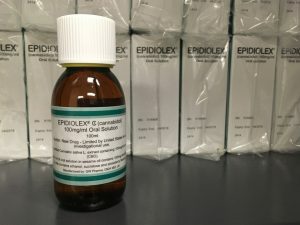 BISMARCK, N.D. (AP) — Legislation aimed at increasing the number of North Dakota residents who can legally use medical marijuana and making it easier for patients to get the necessary credentials for the drug moved closer to reality Friday with overwhelming Senate approval.Getting required authorization from doctors and advanced practice registered nurses has been difficult for many patients who want to apply for a state medical marijuana card. The medical community has cited several concerns, including that marijuana is still technically illegal under federal law and that research on its benefits is lacking.Senators voted 43-0 in favor of removing a requirement in state law that health professionals who certify a patient attest that medical marijuana will actually help that person. “That particular language, because of the lack of medical research, has created a barrier for some providers,” said Democratic Sen. Kathy Hogan of Fargo. The change would require providers to certify only that a patient has a qualifying medical condition under state law. The bill also would enable military veterans under the care of Veterans Affairs to use their VA medical records in place of a doctor or nurse certification, since federally employed VA providers would be breaking federal law by certifying a patient. The House earlier approved a similar bill. The chamber also voted in favor of expanding the number of qualifying medical conditions from 17 to 30, but the Senate version passed Friday on a 42-1 vote would increase the number only to 21. Senators felt many of the House-approved additions fell under other already-approved conditions such as “severe and persistent muscle spasms,” said GOP Sen. Kristin Roers of Fargo. The legislative updates to state medical marijuana law are not yet final. The House must concur with Senate changes on most bills, and Gov. Doug Burgum must also still sign them into law. Spokesman Mike Nowatzki said the governor supports legalized medical marijuana in general but has not taken a position on any of the specific bills. North Dakota voters approved medical marijuana in November 2016. The Legislature the following year crafted regulations for the drug’s use, and the Health Department began setting up a system. Patients could begin applying for state cards last October. North Dakota’s first medical marijuana dispensary opened March 1 in Fargo. Dispensaries should be operating in the state’s other seven major cities by fall, according to Jason Wahl, director of the state’s Medical Marijuana Division. A state-approved facility in Bismarck is manufacturing medical marijuana to supply dispensaries, and a second facility in Fargo has begun growing the drug and preparing to make it available.